Sporting performance at independent schools is under scrutiny as never before, with the range of sports on offer, attainment in those sports and, perhaps particularly, support offered to elite athletes often a key factor in the decision process for prospective pupils and their parents. 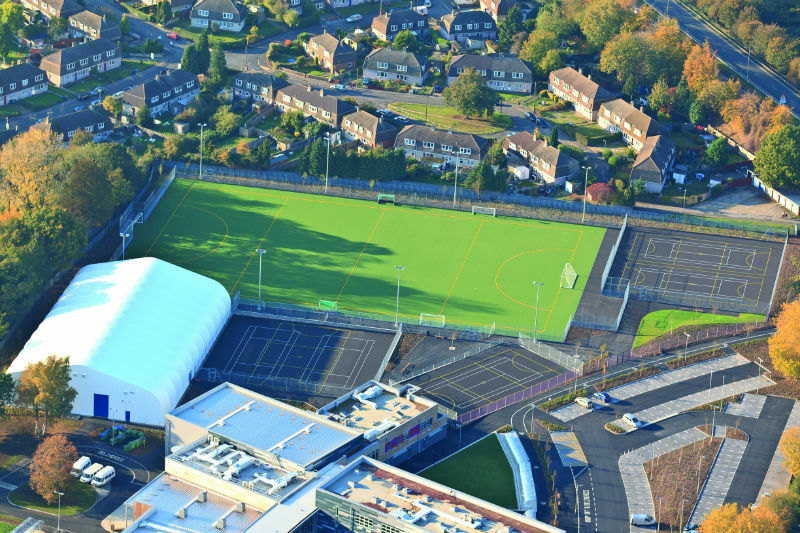 Alongside this, the range of options for surfacing school sports facilities has grown significantly over the past two decades, with developments in technology helping to bring on a wide spectrum of sports surfaces that can be tailored to each facility’s particular set of needs. 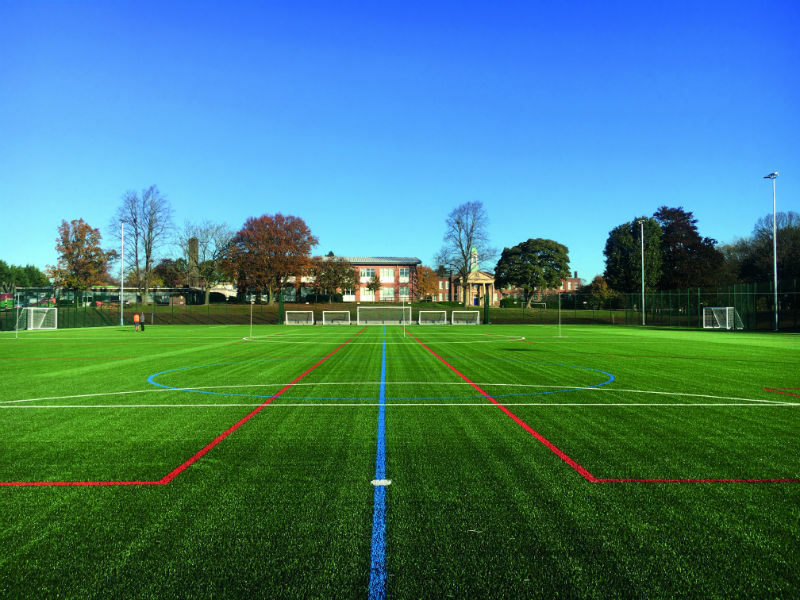 Small wonder, given these two factors, that when it comes to choosing the ideal surface(s) for their sports facilities, the UK’s independent schools now have both more choice, and more responsibility to get that choice right, than ever before. Stephen Jones, an estimator at Charles Lawrence Surfaces, offers us a quick tour of the various surfacing options – and begins with the need for some clear definitions. “To properly understand the differences between the various surfacing options available, you have to look at the sports that they are intended for; there will be slight differences between different manufacturers, but the principle will be the same. Charles Lawrence Surfaces works with most of the leading European manufacturers who are continuingly developing and modifying their products, and as a result can offer schools the best surfaces available for their individual requirements. 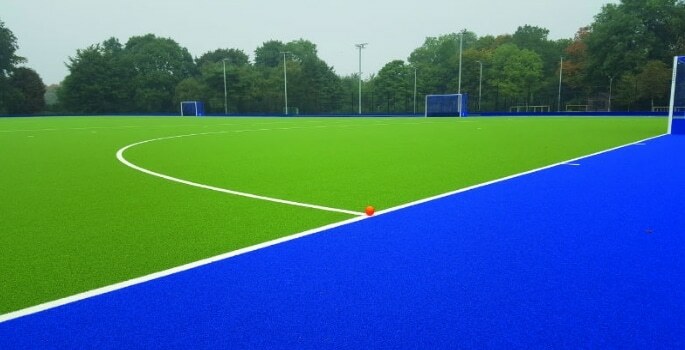 “For hockey – and potentially other sports such as football, netball and tennis – you will be looking for a 13–22mm pile-height turf, which will be either water-based, sand-dressed, or sand-filled,” Stephen explains. “A water-based pitch is designed to have an irrigation system; water-based systems also offer greater ball/player interaction than that of sand-filled and sand-dressed surfaces. With water-based synthetic turf, they can have either polyethylene or water-retentive nylon yarns. “Sand-filled pitches usually feature a taller pile height than sand-dressed surfaces, with the sand filled almost to the top of the surface creating a denser playing surface. Sand-dressed pitch systems, on the other hand, have more yarn and less sand, thus allowing the ball to roll faster. Under the International Hockey Federation (FIH) Multi Sport regulation, there is a specification for a 40mm pile-height turf that can be used for football and hockey. There will be a requirement for a 15mm thick shockpad for all hockey surfaces. Football, Stephen explains, requires a larger pile-height turf – typically 40–60mm. “These will traditionally have sand and styrene-butadiene (SBR) rubber infill – though there are other alternatives to the SBR rubber, such as cork, EPDM rubber or alternative organic infills. There might be a requirement for an in-situ laid rubber shockpad with a thickness ranging from 15–20mm, depending on the manufacturer.” Rugby, with its greater physical impact, requires a slightly larger pile height again – in the region of 60–65mm pile height. Thus far, we’ve looked at synthetic turf and the differences in the options available. Other types of surfaces, however, are also worthy of consideration for your sports facility. 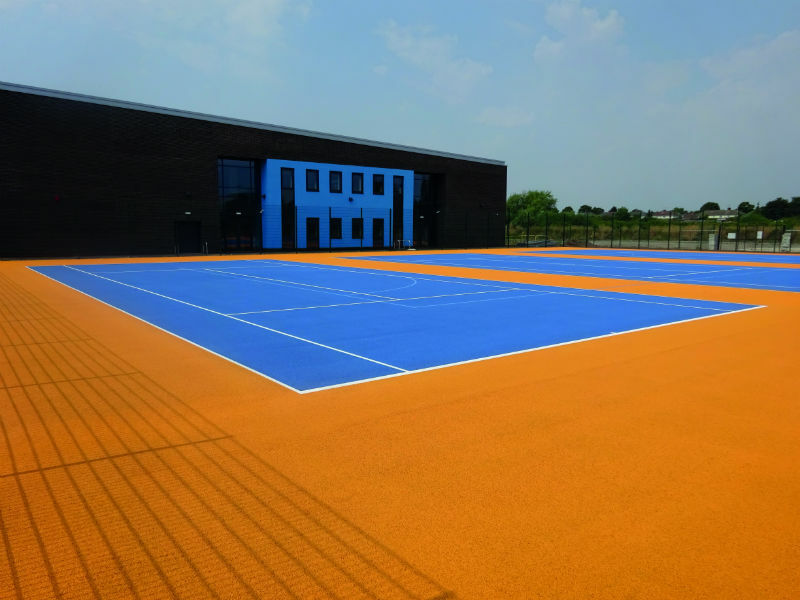 Over to Stephen again: “For multi-use games areas (MUGAs), surfaces such as macadam finish acrylic coating or polyurethane coating finish are good, colourful options, and are also compliant to Lawn Tennis Association (LTA) and England Netball regulations. So, if your sports facility will be primarily dedicated to tennis and netball, these are options to investigate further. Beyond the choice of surfaces and pile heights, some more general questions must be addressed, as Stephen explains. “When you’re planning your new sports facilities there a few things you need to think about, not only in terms of what you are planning on building, but also who is going to build it for you. “Points to bear in mind include: do you need to acquire any planning permissions for the project to go ahead? What exactly does your school require from the sports facility; what is the facility going to be used for, and how much usage is it going to get? Have you come across a similar facility that you want to replicate? 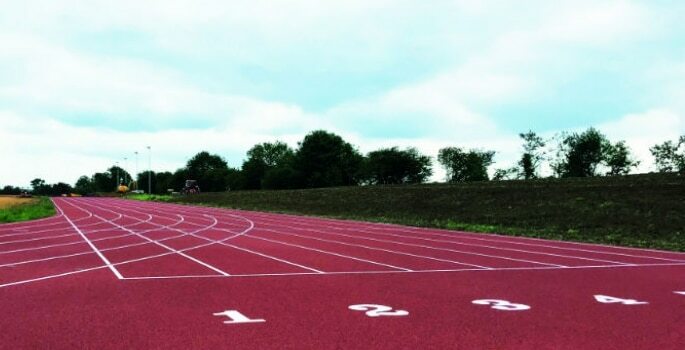 Oundle School recently completed a major milestone in their sports facilities masterplan by installing a brand-new athletics track. The school, the UK’s third largest co-educational independent school, has always prided itself on offering and achieving sports excellence. Recently, it developed its Sports MasterPlan, aimed at “resourcing a modern, thoughtful vision of sport as part of an education which informs our pupils’ lives long after they have left,” and centred around a sports centre that will accommodate a new 50-metre swimming pool, an eight-court hall offering adaptable playing space for a range of sports, separate fitness suite with 70 stations, dedicated dance studio, new athletics track and more. With the MasterPlan, Oundle aims to offer sporting facilities that rival the very best available in the independent school sector. Alongside this, though, the school’s sporting operations need to remain largely unaffected while the new sports centre is built on the site of the existing athletics facility. To address this issue, the school commissioned Bernhards Sports Surfaces to build a new athletics track on unused space adjacent to the numerous cricket fields. 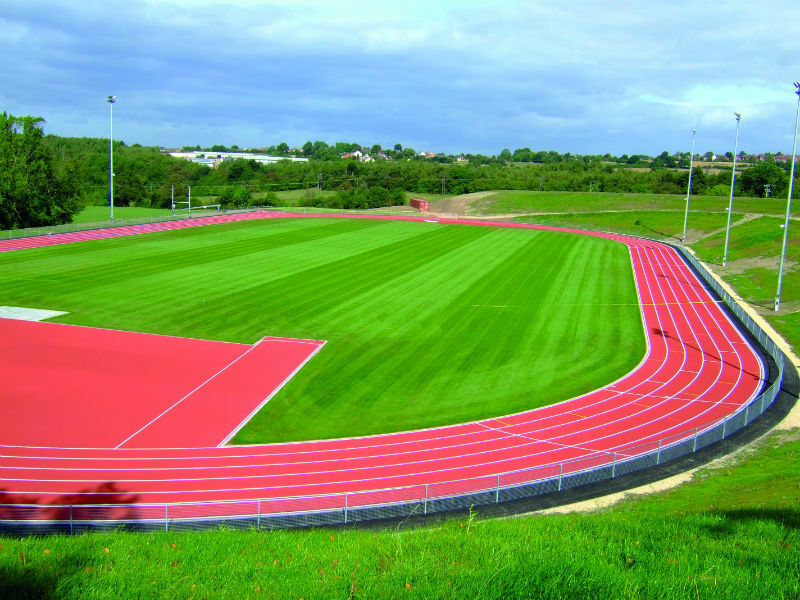 Bernhards in turn selected Conica Ltd to supply their world-renowned, IAAF-approved Conipur SP track system. This ultra-durable system is designed to offer excellent value, coupled with the durability to withstand extensive daily use. The eight-lane, full 400m track also includes infield areas for field events. James adds some advice of his own on how schools can make new facilities work for them over the long run. “Independent schools often rely on fundraising, donations and careful cost control in order to generate the funds required for significant capital investment. However, the build is only the start of the story.